Last month this author had the pleasure of visiting The Pro Football Hall of Fame. 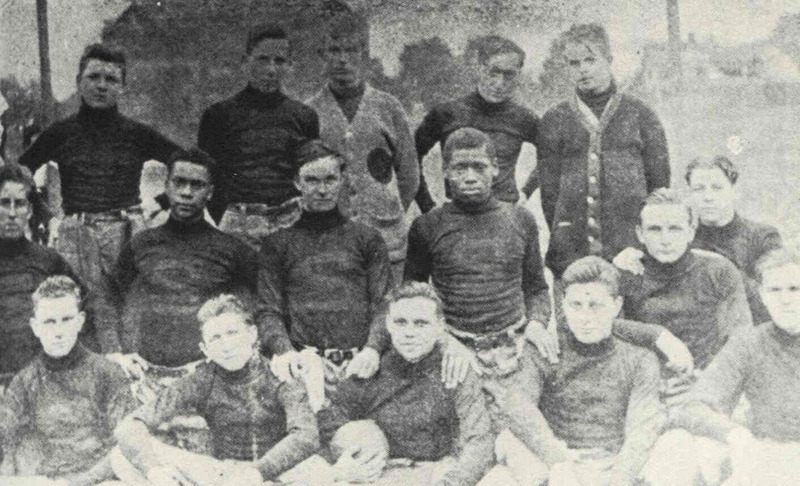 One of the exhibits listed the first twelve black players that played in the NFL from 1920-33. (Blacks would then be banned from pro football from 1934-1945.) I was startled when I saw the name Paul Robeson on the list. Could that be the famous singer and actor who graduated from Somerville High School in 1915? Minutes into my research I find that indeed the man famous for singing, acting on both stage and screen, and for his activism was also at one time a pro football player. I decide then that my next article should be about him. There are over a dozen biographies written about Paul Robeson. But none of the biographies cover his time in Somerville in a manner that is relevant to today’s local residents. Thus this article (and accompanying website) will tell of his time in Somerville and what the town was like in his day. These years of his life are not insignificant as this is when Paul’s many talents emerged. 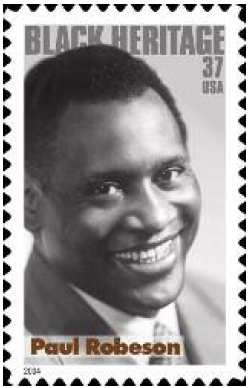 Paul Robeson was born in 1898 in Princeton, New Jersey. His father William, a Reverend, had been born into slavery. The Robeson family first moved to Somerville in 1910 when Reverend William Robeson was assigned to an established congregation the “St. 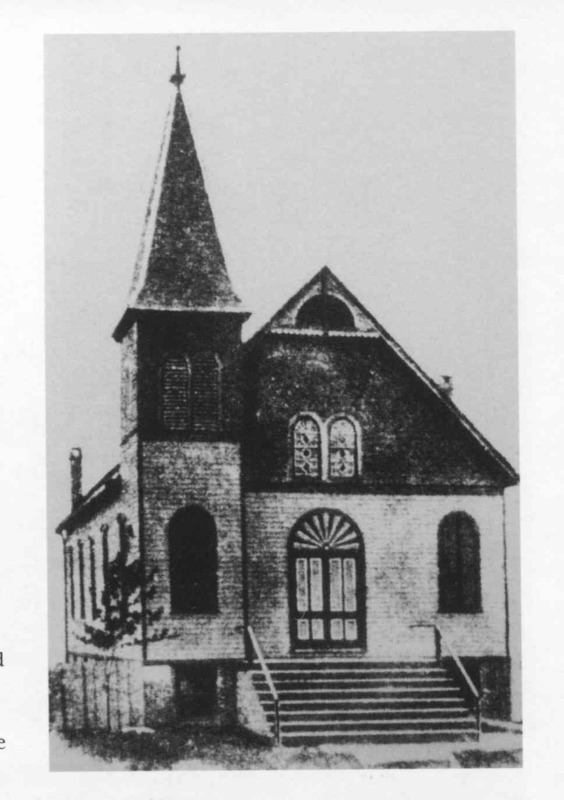 Thomas A.M.E. Zion Church” that had just built a new church on Davenport Street. (That church still stands today.) The Robeson family would move into the parsonage house provided by the church at 81 West Cliff Street. In Somerville Paul Robeson first attended what was called “The Colored School” (yes - that is the name it had.) That “segregated” school, which went up to the eighth grade, stood at the corner of Davenport and West Cliff Street. The presence of a segregated school might make it seem like Somerville was a bad place for blacks to live. But by contrast some nearby towns back then did not even allow blacks to live there. It was perhaps at the Colored School’s graduation that Paul, at age 13, gave his first critically acclaimed performance. At the graduation Paul recited the famous “Give Me Liberty or Give Me Death” speech made by Patrick Henry. His deep voice along with his eloquent delivery mesmerized those in attendance. The closing exercises of the local Colored School were held Friday evening in the St. Thomas A.M.E. Zion Church. So impressive were the (student) speakers that many tears were in evidence. 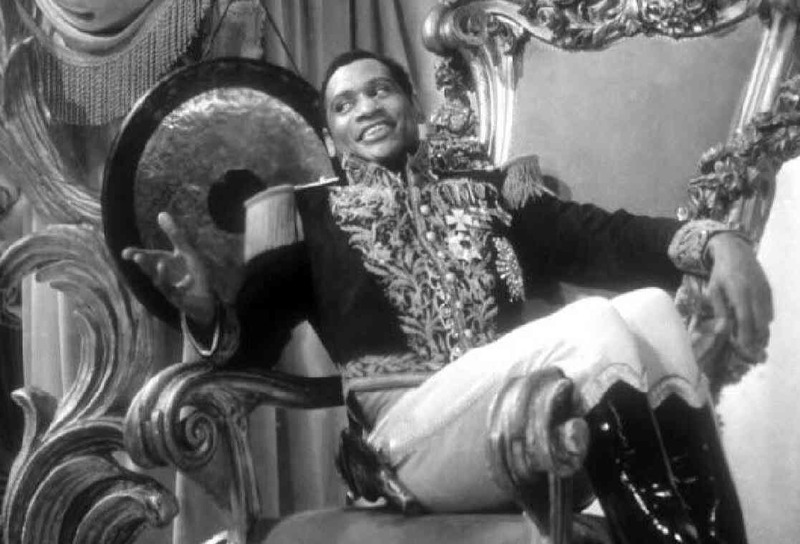 To Paul Robeson belongs the credit of a rendition whose excellence has seldom been surpassed by a public school pupil. 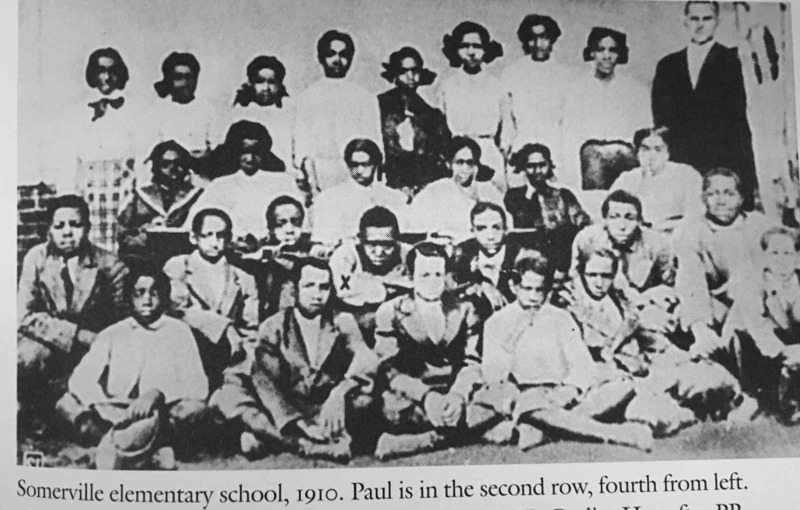 click for info on "The Colored School"
After graduating from the eighth grade Paul attended the “integrated” Somerville High School. Only a handful of black students would go to Somerville High School as the lack of economic opportunities for blacks required the teenagers to go to work. Somerville High School back then was in the two story building set back off West Cliff Street that is today labeled the “Somerville Public School Administrative Building”. 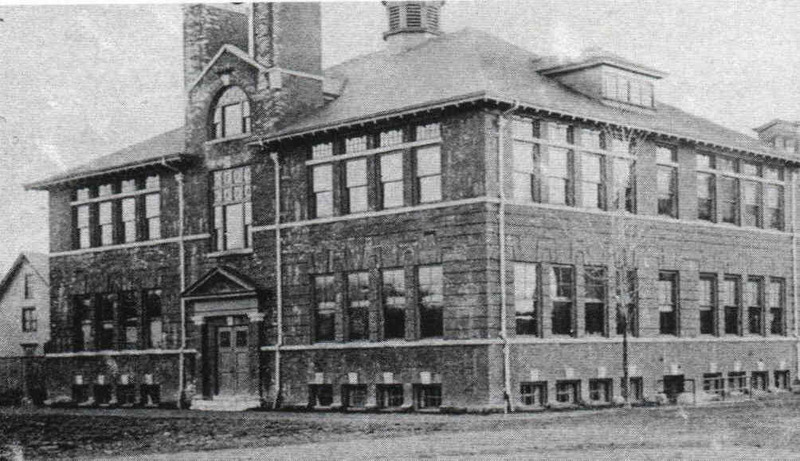 (The current larger school building at that location was not built until 1922.) The High School, which covered grades 9 thru 12, was the only High School for the many surrounding towns. There were around 30 students at each grade level. At high school the teachers and coaches recognized Paul Robeson’s talents and helped him develop them. Paul, who had previously sung at the church, was persuaded to join the Choir/Chorus by music teacher Elizabeth Vosseller. She further encouraged him to take singing seriously. An English teacher, Anna Miller, who ran the drama club coached him in acting. She was so impressed that she told him to think about becoming an actor. Ironically, Paul appeared in a brief skit in the role of Shakespeare’s Othello in a High School production. He would later play Othello hundreds of times on Broadway. There was also a debating club that Paul was a member. His baritone voice and passionate delivery brought him considerable attention in the school debates. While Paul excelled at much it was sports that he was best at. He played Football, Basketball, Baseball, and Track. A teammate of his in football said that Paul “was the football team”. He was an amazing one-of-a-kind student. The well behaved reverend’s son was an “A” student, the best athlete in the school, an excellent actor, singer, and debater. While he was many things to the other students and faculty Paul knew that since he was black he had to walk a fine line. He had to be modest in his accomplishments and careful in social situations so that he would not ignite any of the always lurking racism that was prevalent in that era. 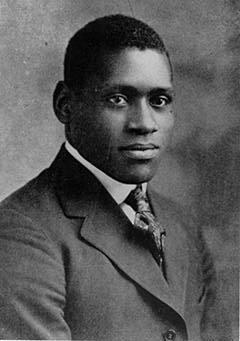 At the high school graduation ceremony (in 1915) while several students spoke, Paul Robeson would be the last speaker. He chose to deliver an original composition that he wrote about the life and death of Elijah Lovejoy – an abolitionist newspaper editor who was killed by a proslavery mob. It was a fitting topic for Paul as decades later he would engage in similar struggles. At the end of his senior year Paul won a written contest for a full scholarship to Rutgers. At Rutgers College he became the star of the football team - being voted an All-American in his junior and senior year. After Rutgers he would attend law school at Columbia University in New York City. 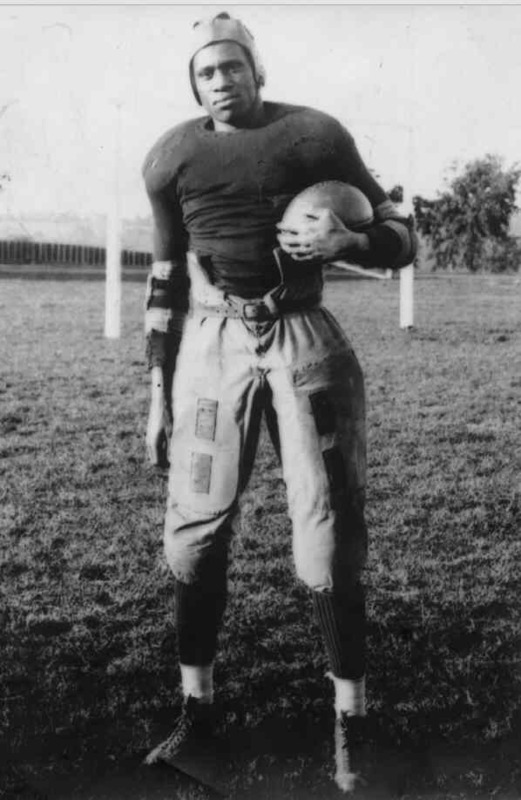 To pay for law school he played professional football in the newly formed NFL in 1920 - 22. Most of the games were in the central states thus he had to take a 24 hour plus train ride after Friday classes to be able to play in his game on Sunday. He was paid hundreds of dollars per game – that was a lot of money back then. 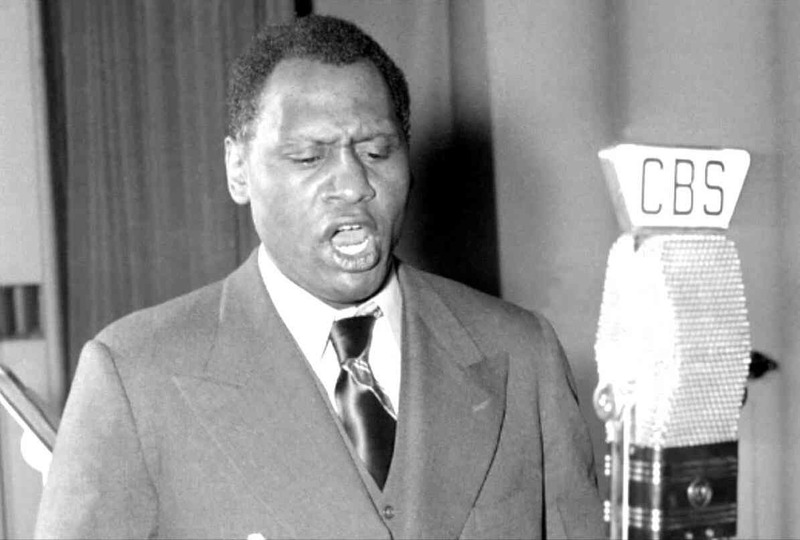 In the 1930s and 1940s Paul Robeson became a world renown popular entertainer on the stage, screen, and in concert. His signature song was “Ol Man River” which he first sung in the movie/play “Showboat”. He would appear on Broadway as Shakespeare’s Othello for hundreds of performances. He gave many concerts throughout the world. At these concerts he often sung many songs in the local language of his audience. Importantly, he would not perform before a segregated crowd. In the 1950s his outspokenness on civil rights (and sometimes controversial views) caused him to be blacklisted which curtailed his career. That brave struggle that he chose to fight at the expense of his career is today a proud part of the legacy of this great man. 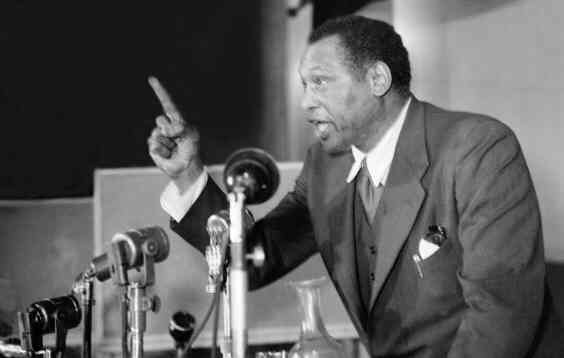 Paul Robeson, who passed away in 1976, has had numerous honors and awards, but this article is about his local achievements - so we list some of them here. 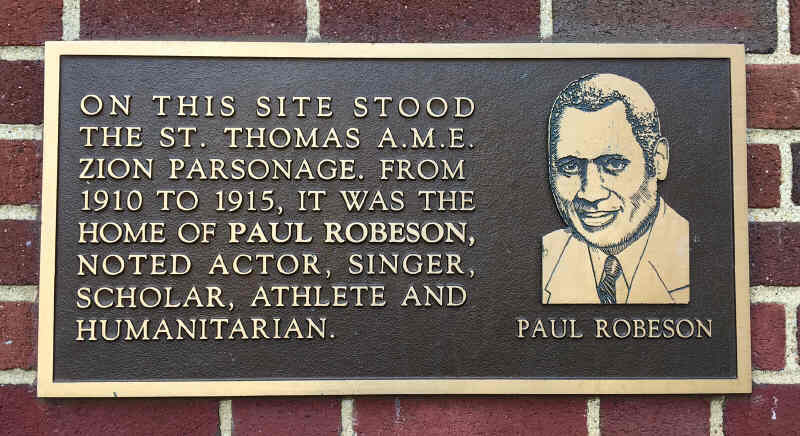 He is a member of “The Somerville High School Athletic Hall of Fame”, part of the street where his church is on is now called “Paul Robeson Boulevard”, and at the location on West Cliff Street where his home once stood there a plaque in his honor. His football career at Rutgers has resulted in him being elected to “The College Football Hall of Fame”.